The Village is self-governed by the Leadership Team. Their role is to make sure the church is achieving its mission to be a catalyst for Life Change, Life Growth, and Life Purpose. This team consists of people from our church family who serve a three-year term. The Leadership Team meets on the second Sunday of every month. Pictured back row left to right: Matt Bonomo, Pam Wilson, Greg Adams, Matt Wallick; front row left to right: Gerald Snyder, Devan Gagliardo, Heather Houck and Erica Sandeno. Staff – The team holds staff accountable for their goals and makes sure the church provides resources to help staff be successful. 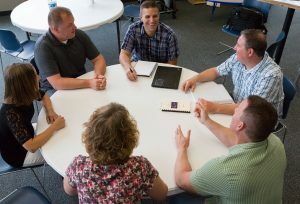 Strategy – The team plans for the future to meet church goals and accomplish our mission. To be a Shepherd – Make sure people are loved and cared for. Someone who guards, feeds and cares for God’s people like a shepherd with a flock. The shepherd is responsible to equip God’s people for ministry (Ephesians 4:11-13), by guarding them against false teaching, giving them good spiritual counsel and food from God’s Word, training them, and comforting and helping them (Acts 20:27-31). The shepherd must be one who is sensitive to the needs of the people, knowledgeable in God’s Word, and willing to invest the time necessary to care for individuals. 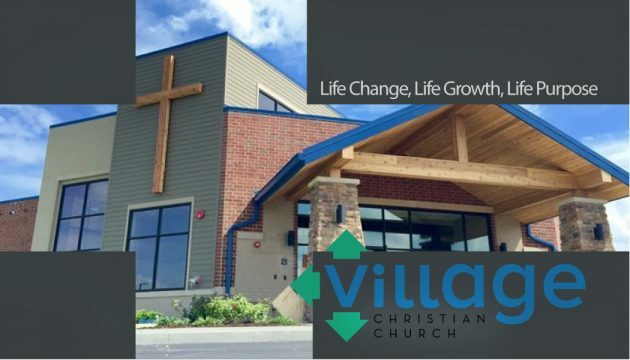 The Village has an Elder Team that focuses on the spiritual growth of our church. Email prayer requests to prayer@thevillagechristianchurch.com. Please email our Leadership Team if you have questions.